Rick Powell suffered his hearing loss while working as a labourer and factory worker. 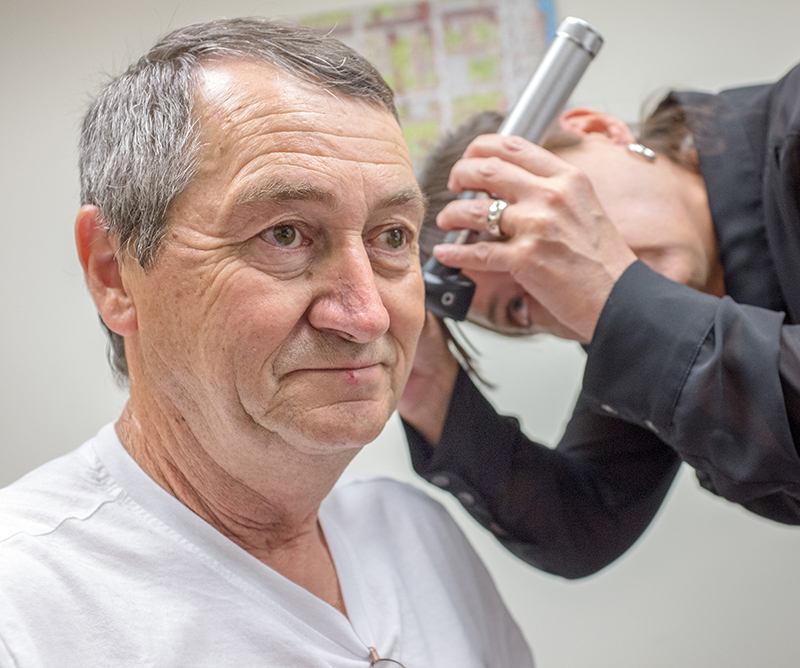 But getting a hearing aid that helps has been difficult since the government, through the Workplace Safety and Insurance Board, slashed the number of available providers. Powell, a retiree, had five years of good service from his old hearing aids. But their renewal coincided with the rule change in January, and the new board-approved devices were useless, despite repeated adjustments at the audiologist’s. “I thought, I can’t wear these,” he said. 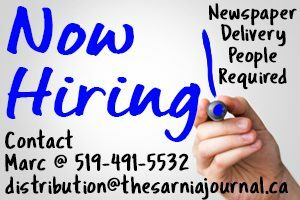 Powell is one of about 500 WSIB claimants served by Sarnia’s Schneiker Audiology Services whose hearing has been severely impacted by the change. “I wouldn’t start my mom off with an entry level product,” said owner Kathleen Schneiker, an audiologist with more than 20 years experience. 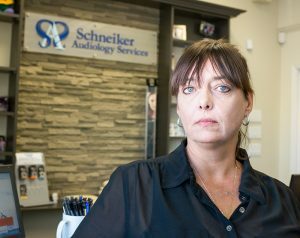 Kathleen Schneiker, owner of Schneiker Audiology Services. “Somebody like Rick who’s been used to wearing advanced technology deserves to keep up with the same level,” she added. Previously, WSIB claimants were eligible for several thousand hearing aid options from 10 manufacturers and up to $1,000 per aid. That’s been reduced to three manufacturers, 200 types and a $500 cap. Schneiker said hearing loss cannot be corrected with a one-size-fits-all device. Schneiker now spends evenings and weekends communicating with manufacturers and government officials, trying to find solutions for her clients. The board will consider exceptions, but the process can take six months of effort involving letters and calls from both clients and staff, said Schneiker, whose clinic is unique because it serves such a large number of injured workers. Eventually, she was able to get Powell a device better suited to his hearing loss. But the extra time put in by her and her staff to help clients is a drain on clinic resources. A spokesperson with the WSIB said the board is using a competitive bidding process for hearing aids to ensure it’s getting the best technology at the best price. “Unlike some vested interests motivated by further profit, our motivation is to provide people with the help and support they need for their hearing health and we’re working with audiologists across Ontario to do that,” said public affairs manager Christine Arnott. “If someone is concerned about a decision or other aspects of their claim, we encourage them to speak with us. We are here to help,” she added. Schneiker, who said she comes from a family of blue-collar workers, said her fight has been worth it because each workplace injury can seriously impact a family.